Where do I start when looking for a good appellate attorney in Michigan? If you need an experienced criminal appeals lawyer it probably means you or a loved one were convicted of something, either by plea or trial. If you trust the lawyer who handled the case at the trial level, a good place to start is to ask his or her recommendation for a few names. It is worth it to speak to each of the lawyers, and if possible the interviews should be in person. If you have lawyer friends, ask them for recommendations. If you don’t know anyone or you want to check out some attorneys you’ve been referred to you, a great resource is www.avvo.com. I also recommend searching the Internet for reviews on an attorney to see what types of experiences prior clients have had with the lawyer. If an attorney does not have any reviews, that is a good sign that the attorney has blocked them or erased them because they were not positive. Most experienced attorneys have been reviewed on the Internet. But how do I evaluate a Michigan Criminal Appeal Attorney? What jobs have you had over the years? What portion of your practice is devoted to criminal cases? Many lawyers in Michigan’s tough economy today are handling a variety of types of cases (like divorce, criminal, bankruptcy, personal injury, etc…). Lawyers are like doctors, experts only handle one type of practice. A heart doctor doesn’t dabble in brain surgery. Similarly, a great Michigan criminal defense attorney is not going to be handling divorce cases as well (or any other type of law). Are there really big differences between appellate lawyers? Yes, there are huge differences. In many cases, the quality, zealousness, and intelligence of the criminal defense attorney can make the difference between success and failure on appeal. Once you need an appellate lawyer you are facing an uphill battle on appeal and statistically, very few criminal appeals are successful. A top appellate lawyer will, overall, increase the odds of success. How much should I expect to pay for an appellate lawyer? Should I pay a flat fee or an hourly? Before the appellate attorneys at LEWIS & DICKSTEIN, P.L.L.C. quote a fee for an appeal, we want to know: how long was the trial? Has the transcript already been prepared? Were there co-defendants in the case and if so, who are their lawyers? From the client’s perspective, what issues are there for the appeal? Was the trial by jury or by a judge (a bench trial)? Who was the prosecutor and who was the judge? What type of job did the trial attorney do in the case? What was the sentence? Has a notice of appeal already been filed? Most highly experienced Michigan appeal lawyers charge a flat fee as opposed to an hourly fee. Some cases can only be dealt with on an hourly basis but an experienced appeals lawyer will help you decide which method of payment is best in a particular case. The benefit of a flat fee is that the client has limited exposure and knows at the time the attorney is hired that the fees are affordable and reasonable. Attorney’s who charge hourly may tend to charge a lot of hours and may not be forgiving when the client runs into trouble paying bills. What costs are usually not included in the fee? When you hire a lawyer for an appeal, he typically is agreeing to handle the appeal in the first appeals court, unless you agree otherwise. That means he’ll write the brief and, possibly a reply brief (after the opponent’s brief is received) and then will argue the appeal if the court’s rules permit. If you lose the appeal in the Michigan Court of Appeals (on a felony appeal) or in the Circuit Court (on a misdemeanor appeal), the fee typically does not include a further appeal to a higher court. Talk to the MI appellate lawyer and make sure you have a clear understanding of what work is being agreed to by the lawyer. Filing fees, copy fees, postage, and transcripts are never a part of the legal fees and always the responsibility of the client. Depending on the length of the trial, the number of possible issues and other factors impacting its complexity, the cost of an appeal can be significant. Every case is different and an honest attorney will take the time to learn about a case, at a free consultation, before quoting a fee. Federal appeals are typically more expensive than state appeals but there is no hard and fast rule. 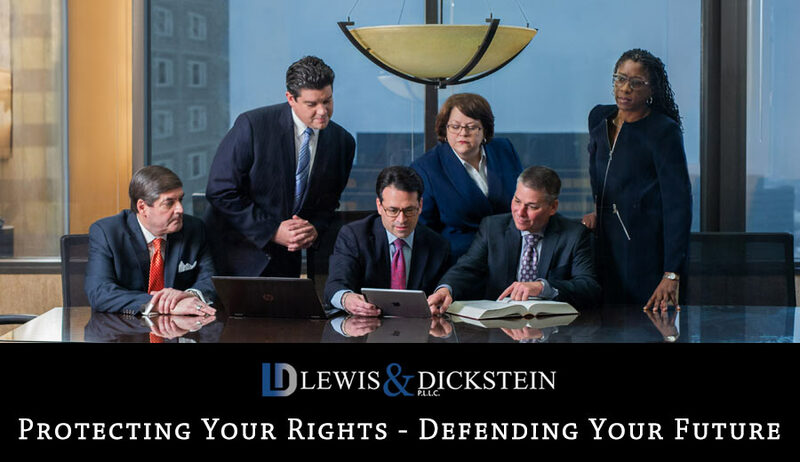 If you have any questions, please call LEWIS & DICKSTEIN, P.L.L.C. at (248) 263-6800 for a free consultation or fill out a Request for Assistance Form and we will promptly contact you. What Michigan Counties have the most convictions? The MI Counties that have the most common convictions and appeals include, but are not limited to: Oakland County, Wayne County, Macomb County, Washtenaw County, Livingston County, Kent County, Genesee County, St. Clair County, Ingham County and Lenawee County. A good Michigan criminal appeal attorney will be able to handle your case successfully regardless of the district or circuit court where the conviction was entered.